Arcadis, a leading consulting and engineering firm, recently unveiled its new global Sustainable Cities Mobility Index, on urban mobility. The study looks at 100 cities through 23 indicators to give an indicative ranking of mobility in each city and the sustainability of their system: infrastructure, congestion time, public transport rates, inter-modality, green transport, air pollution, technologies, etc. Among the top 100 most sustainable cities in the world, Lyon ranks 15th, in front of big megacities like New York, Berlin, or Montreal. ▪Rail: development of the metro (line B and new planned lines), development of trams in the northern and southern suburbs of the city, high-traffic international train station etc. ▪Bicycle: development of many bike paths to promote this mode of transport, including for commuting. Lyon was also the first city in France to implement a city bike system( VéloV) with 4000 bikes over 345 stations. ▪Road and multimodal: the Anneaux des Sciences ring road, efforts to encourage carpooling with carpool lanes on major roads and the creation of a dedicated application enabling users to contact one another. ▪ Air: two airports, connected to Lyon city centre via express tram, in which rental vehicles and other modes of transport are also available. ▪Boat: development of the Vaporetto water shuttle and ongoing tests of hydrofoil taxis boats. ▪ Car: development of Bluely, a fleet of electric vehicles available to Lyon users throughout the city, powered by solar panels. “Lyon strives to be at the cutting edge of those technologies that enable the city to improve its sustainable development. […] It genuinely wants to improve its inhabitants’ quality of life. 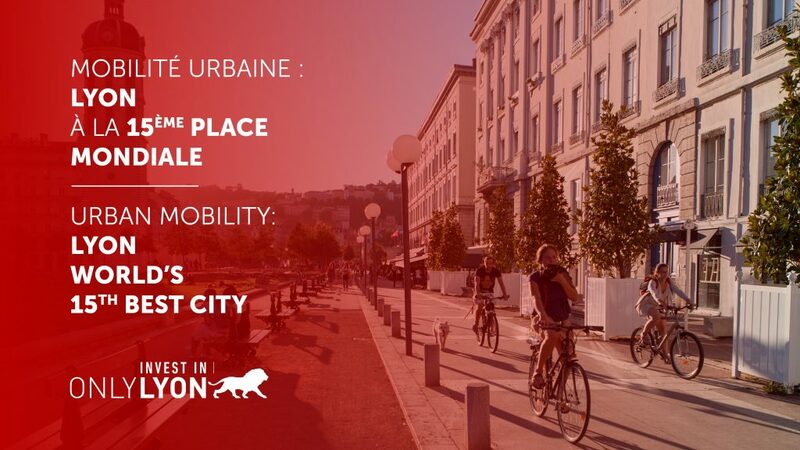 […] Lyon is a dynamic city and no doubt, in a few years, it will once again be listed in the Sustainable Cities Mobility Index.” Frédéric Courthial, Southeast Regional Director, Arcadis. 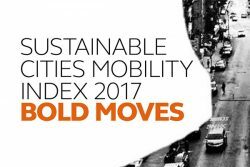 The full Arcadis Sustainable Cities Mobility Index is available online.